GableGotwals Welcomes Nick Merkley as a Shareholder In The Oklahoma City Office. Nick Merkley joins GableGotwals as a new shareholder in the firm’s Oklahoma City office. 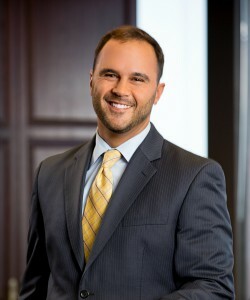 Nick’s primary focus will be litigation in the areas of energy and products liability. Nick is an honors graduate of the University of Oklahoma College of Law. He received his undergraduate degree with special distinction from the University of Oklahoma. Nicholas is a member of the National Bar Association, American Bar Association, Oklahoma Bar Association, Oklahoma County Bar Association, and Order of the Coif. He has been named to Oklahoma Super Lawyers eight times, from 2008 to 2015.